Palestinian president Mahmoud Abbas said Palestinians have the right to go to the International Court of Justice if the attempt to renew negotiations with Israel in the coming few months fail. 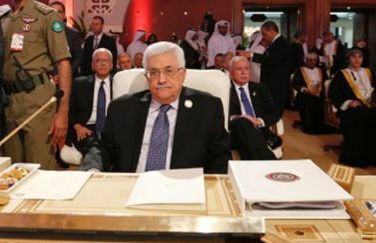 Abbas remarks came during his speech to the Arab League summit, during which he briefed Arab leaders on his latest meeting with U.S. President Barack Obama in Ramallah. An Arab League delegation is scheduled to meet with senior US government officials in the coming few weeks ahead of Kerry's visit to discuss ideas of renewing peace talks. 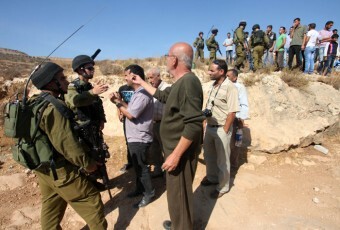 The Israeli authorities in the occupied West Bank have issued a military order for the illegal confiscation of Palestinian lands in Khirbit Ed-Deer area, west of Nahhalin village, in the Bethlehem District, in order to build 70 units for Jewish settlers, and public buildings, the Palestine News Network (PNN) had reported. 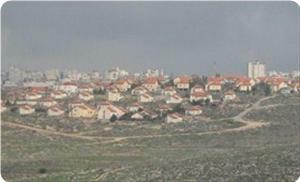 PNN quoted the deputy head of the Nahhalin village council, Jamal Najajra, stating that the lands in question are dozens of Dunams, located near Beit Illit illegal settlement, built on lands that belong to the residents of Husan, Nahhalin and Wad Fokeen, and are planted with olive trees. He said that the new planned constructions are meant to connect Beit Illit settlement with Gavot settlement, by illegally confiscating Palestinians orchards leaving dozens of families without the main source of livelihood, and without the ability to build homes in the area. Najajra added that the village council has contacted attorney Ghayyath Nasser, so that he can file the needed appeals in Israeli courts. He also said that this is not the first time Israel decides to annex Palestinian lands in the area, as they confiscated lands in the Al-Jamjoum area, Salem Valley, and Ein Fares where Israel dumps waste-water coming from Beitar Illit settlement, PNN said. The Israeli occupation authority (IOA) continued its construction activities in Beit Haggai settlement built illegally on Palestinian lands south of Al-Khalil city. Eyewitnesses told the Palestinian information center (PIC) that the IOA resumed the expansion of the southern area and the western entrance of the settlement. Bulldozers of the Israeli occupation authority have started preparing for the building of 114 new housing units on land in Khader village, in Bethlehem district. 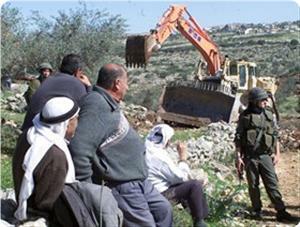 Ahmed Salah, the coordinator of the popular committee against settlement, told Quds Press on Monday that the bulldozers started working in leveling land in Batin Al-Masi mountain two days ago. He said that the IOA decided to turn the 500 dunum settlement outpost on that mountain into a full-fledged settlement after building the 114 units that would be added to the 50 caravans already installed there since 2000. He said that the land is owned by the Salah family but the land owners are banned from approaching it for years. Asharq Al-Awsat newspaper says during Ramallah talks US president urged PA leader to refrain from hauling Israel before court in The Hague for any reason; Abbas threatens to turn to court immediately should Jewish state start building in E1 zone. US President Barack Obama asked Palestinian President Mahmoud Abbas to refrain from taking Israel to the International Criminal Court in The Hague for any reason, the London-based Arabic newspaper Asharq Al-Awsat reported Saturday. The newspaper quoted a Palestinian official as saying that during their meeting in Ramallah on Thursday Abbas told Obama he would wait two months before talking any measures against Israeli settlement construction, but stressed he would turn to the ICC immediately should the Jewish begin building in the E1 zone between Jerusalem and Ma'ale Adumim. Other officials told Asharq Al-Awsat that during Obama's talks with Jordan's King Abdullah on Friday, US representatives suggested holding a meeting between Israeli and Palestinian negotiators in Amman in early May, with the participation of American and Jordanian mediators. 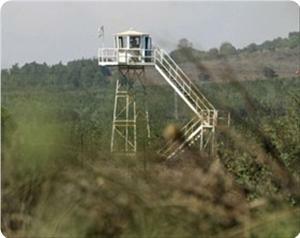 The report said Jordan welcomed the initiative and that US Secretary of State John Kerry would continue to advance it. Obama, Asharq Al-Awsat reported, told King Abdullah that Prime Minister Benjamin Netanyahu was in favor of gradually resuming the peace negotiations without discussing Jerusalem or the Palestinian refugees. The Jordanians called for Israeli-Palestinian negotiations on a permanent agreement, the report said. Meanwhile, a senior Palestinian official was quoted by the London-based Arabic newspaper Al-Hayat that Abbas told Obama Israel was building 24 new homes a day in the West Bank. Mohammed Ishtayeh, a member of Fatah's Central Committee, said the Palestinian president asked that Obama call on Israel to declare what its borders are before any negotiations are launched. "The Israeli government must stop settlement construction and stop giving the settlers incentives," Ishtayeh said. During a joint press conference with Abbas on Thursday, Obama said he was not giving up on the stalled peace process in the Mideast, but argued that continued Israeli settlement building in West Bank is not helping the cause. "We do not consider continued settlement activity to be constructive, to be appropriate, to be something that can advance the cause of peace," he said. "So I don't think there's any confusion as to what our position is." However, the US president suggested that the Palestinians should not make a settlement construction freeze a precondition for resuming peace negotiations with Israel. "The United States is deeply committed to the creation of an independent and sovereign state of Palestine," Obama said at the press conference. "The Palestinian people deserve an end to occupation and the daily indignities that come with it." The American leader added that "misery" in the region persists "because Hamas refuses to renounce violence, because Hamas cares more about enforcing its own rigid dogmas than allowing Palestinians to live freely, because too often it focuses on tearing Israel down than building Palestine up." In his opening remarks, Abbas emphasized that the Palestinian Authority believed a peace deal could still be reached. "We believe that peace is necessary and inevitable. We also believe that it is possible," Abbas said. Acting Palestinian Authority Chief Mahmoud Abbas has told visiting US President Barack Obama that there could be no talks with Israel without a freeze on settlement construction. 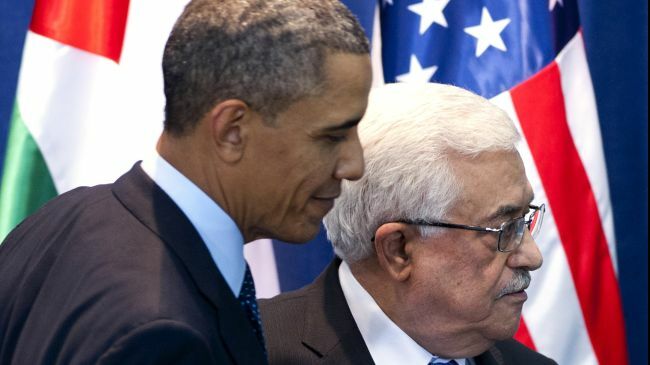 Abbas made the remarks on Thursday after Obama urged Palestinians to restart the so-called peace talks with Israel. The US president also called on Palestinians to drop their demands for a freeze in Israeli settlement activities in occupied territories as a precondition for resumption of the talks. "A resumption of negotiations is not possible without an Israeli settlement freeze in the West Bank and east al-Quds (Jerusalem)," Abbas’ political adviser Nimr Hammad quoted him as telling Obama during their meeting in the West Bank city of Ramallah. After the meeting with Abbas, Obama told a joint news conference that Israel’s occupation of the West Bank must end and that he is "deeply committed" to the creation of a state of Palestine. He also described Israeli settlement activities as a major obstacle to peace between the two sides, saying that "we do not consider continued settlement activity to be constructive, to be appropriate, to be something that can advance the cause of peace". 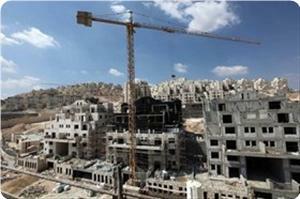 The US president, however, stopped short of calling for a settlement construction freeze. Later on Thursday, Obama criticized Israel over its treatment of Palestinians, who live in the West Bank, in a speech to Israeli university students in al-Quds. He also described as unfair Israeli authorities' refusal to protect Palestinians against Jewish settlers and urged Israelis to put themselves in the shoes of Palestinians. "Put yourself in their (Palestinians') shoes. Look at the world through their eyes. It is not fair that a Palestinian child cannot grow up in a state of her own, and lives with the presence of a foreign army that controls the movements of her parents every single day," Obama said. Euro-Mediterranean Observatory for Human Rights said that the Arab and Islamic blocs in the UN Human Rights Council are calling for a draft resolution that criminalizes Israeli settlement practices in the West Bank and Jerusalem. 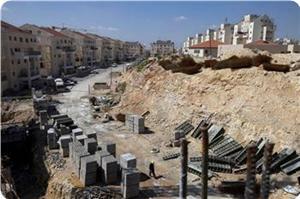 Amani Sinwar, the Regional Director of the Mediterranean Observatory, said in a press statement that the two groups are demanding the UN Human Rights Council to adopt the report of the International Fact-Finding Mission on Israeli settlements, which says settlement building must stop immediately and settlers evacuated from occupied territory. She pointed out that the draft resolution, which recommends the adoption of the recommendations of the Fact-Finding Mission chaired by the French Judge Ms. Christine Chanet, is expected to be put to a vote inside the UN Human Rights Council on Friday, at the conclusion of the twenty-second session held today in Geneva. Sinwar added that the proposed project is calling on all international and United Nations agencies to adopt the report and to work to ensure follow up of the implementation of the recommendations. The Fact-Finding Mission has sharply criticized the Israeli occupation for seizing Palestinian land in violation of the law, particularly the Fourth Geneva Convention. Christine Chanet, Chairperson of the Fact-Finding Mission, called on Monday for prosecuting the Israeli occupation, for its violations represented in settlement expansion, before the International Criminal Court, and expressed her deep concern at the continuation and escalation of settlement activity. The UN Human Rights Council has opened its session on Monday by listening to the report of the International Fact-Finding Mission. It will discuss during the session the report of Navi Pillay, the United Nations High Commissioner for Human Rights, on the human rights situation in the occupied Palestinian territories. 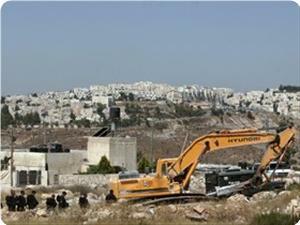 The session is expected to include a general vote on the draft resolution concerning the issue of settlements. Yisrael Beiteinu Chairman Avigdor Lieberman said he does not believe the Israeli-Palestinian conflict can be solved and rejected any possible freeze in settlement construction. "After seeing no result following the 10-month freeze I said I would oppose any freeze inside or outside the (major settlement) blocs," Lieberman said. "We are willing to make gestures but they cannot be one-sided. Yisrael Beiteinu will fiercely oppose any attempt to resume the freeze." 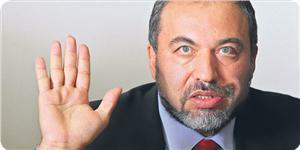 Lieberman acknowledged that this stance will inevitably create frictions within the coalition. "I never said I see eye to eye with (Tzipi) Livni on the political level," he remarked. The former foreign minister said that the new government must focus on internal affairs. "This government's job is to focus on internal problems first. There is no point in going back to the same pattern." He noted he does not see a solution to the conflict. "We should all look back four years and see where we stood on the Palestinian issue. I see no change, no progress and that is why I think this issue should not be in the way. My estimate is that nothing will happen." He further added, "Those who talk about solving the Palestinian problem must be deluding themselves. This conflict cannot be solved, it should be managed. 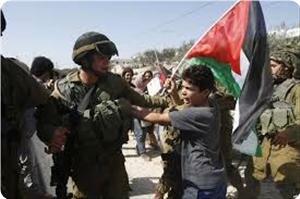 And relations with the Palestinians must be strengthened. We are not an island." Lieberman also addressed US President Barack Obama's visit to Israel, labeling it an Israeli achievement. "A US president who arrives in Jerusalem on his second term is in itself a huge success," he said. "For us the Iranian issue is the main topic we will seek to discuss. We saw that the last meeting did not yield any results. Clearly Iran has no intention of slowing down its production of the nuclear bomb and we want clear answers. I hope we reach total agreement in terms of the situation assessment." The Yisrael Beiteinu chairman, who is currently on trial for fraud charges, also discussed the new coalition. He claimed that his party was the first to raise the flag on equal share of the burden and governance which were key issues in the platforms of both Yesh Atid and Habayit Hayehudi . "I am glad that Yisrael Beiteinu was there first." He also claimed that the primary system has a corrupting effect on the political system. Addressing the challenges facing Israel's 33rd government he said, "The first big challenge is the budget. There is an unprecedented situation where we have an agreement and a similar outlook in matters relating to equal share of the burden and governance. " 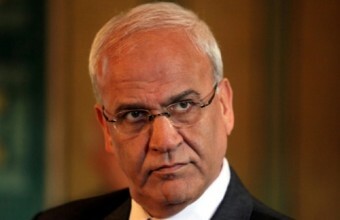 He rejected reports suggesting he plans on disbanding the joint Likud -Beiteinu faction. "It’s not on the agenda. Is it possible? Yes, but it's not on the agenda." 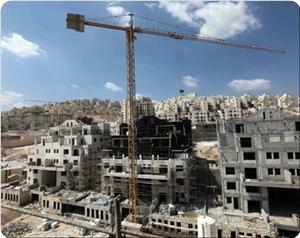 The Israeli interior ministry decided to appropriate 45 dunums of land in Shuafat town northeast of occupied Jerusalem to expand a road connecting settlements. The new annexed land will be used to expand road 21 in order to connect the settlements Reches Shuafat and Ramat Shlomo with Ramot settlement. 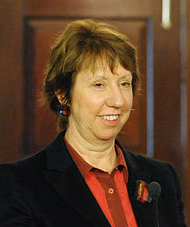 Catherine Ashton, High Representative of the Union for Foreign Affairs and Security Policy, stated that the European Union is committed to the implementation of its policies and regulations in dealing with Israel, and denounced the ongoing Israeli construction and expansion of Jewish settlements in occupied Palestine. Her statements came in response to a letter sent, last December, by Dr. Hanan Ashrawi, former Palestinian negotiator and member of the Executive Committee of the Palestinian Liberation Organization (PLO), demanding the European Union to act against the ongoing Israeli violations of International Law. Ashton sent a letter to all EU Foreign Ministers affirming the determination of the EU to implement all regulations and laws passed by the EU to increase the chances of a real peace, and stability, in the near future. She added that the EU’s Foreign Council held a meeting on December 10 of last year, and reached several important conclusions expressing anger over Israel’s ongoing violations, especially the E1 settlement project in East Jerusalem. As for Israel’s decision to continue its settlement activities following the November 19 2012 General Assembly resolution recognizing Palestine as a nonmember state, Ashton said that the EU asked Israel to respect all international agreements. “The EU stressed on the importance of Israel’s commitment to International Law, and all signed treaties”, she said, “Israel must also respect the Paris Agreement by transferring all Palestinian tax revenue to the Palestinian Authority so that it can perform its duties”. She also stated that the current and previous findings and resolutions adopted by the EU push Europe to be actively involved in assuring that Israel implements all agreements signed between the EU and Tel Aviv. Ashton added that these agreements apply to all of the territories Israel occupied in 1967, including East Jerusalem and the Golan Heights. The European official also said that the EU wants Palestine to achieve a full state status at the United Nations, as this is part of the activities meant to resolve the ongoing conflict between Israel and the Palestinians. Ashton said that the EU has been actively involved in rebuilding and strengthening the institutions of the Palestinian Authority, and that the EU will continue its activities until lasting peace is achieved. Israeli occupation forces continued on Sunday settlement construction in Kiryat Arba settlement established on Palestinian land east of al-Khalil. The occupation forces have stepped up construction work in the settlement of "Kiryat Arba" settlement built on Palestinian land east of al-Khalil aiming at tightening the siege of the city, eyewitnesses told PIC reporter. The sources added that the housing units exceed 25 apartments, including multi-floors buildings, construction equipment and cement tankers. Meanwhile, Israeli occupation forces raided on Sunday towns of Emmerich, Kharsa and al-Sora, south of al-Khalil, where soldiers stormed shops, and set up checkpoints. The occupation forces stormed the towns Emmerich and al-Sorra and areas in the west of Kharsa, south of al-Khalil, where they raided shops near Emmerich and set up military checkpoints at the entrance of Kharsa and west of Emmerich, eyewitnesses told PIC. 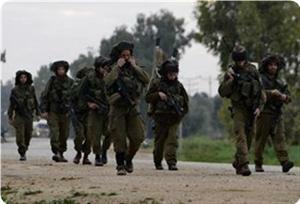 The sources stressed that the occupation soldiers continued to patrol the road that links those three villages, checking the identities of citizens. Chief Palestinian negotiator Saeb Erekat condemned Canada's warning to cut off its aid if Palestinians takes Israel to the International Criminal Court. Referring to the Canadian Foreign Minister John Baird's warning to cut off its aid, Saeb Erkat questioned why Canada is being so hostile towards Palestine. "We do not know why Canada is showing all this hostility against us," said Erekat, "Those who fear international courts must force Israel to stop its crimes." Both Canada and U.S. have strongly warned of financial consequences if Palestine takes Israel to the court, John Baird said while addressing the American Israel Public Affairs Committee annual conference in Washington last Sunday. Palestinians are planning on taking the Israeli government to the International Criminal Court (ICC) for continuing to build Jewish settlements in the occupied West Bank. It's worth mentioning that Canada was among nine countries who voted against the recognition of Palestine as an 'Observer' state in the United Nations General Assembly. The Israeli occupation authorities (IOA) continued on Monday the construction and expansion work in Karmi Tsur settlement established on Palestinian land north of al-Khalil. The occupation continued expansion and construction works in Karmi Tsur settlement built on lads of Halhul and Beit Ummar, north of al-Khalil, where the construction work is concentrated in the western part of the settlement, overlooking Beit Ummar, eyewitnesses told PIC reporter. 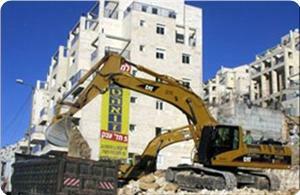 The sources added that the occupation had previously confiscated land belonging to citizens in Beit Ummar and Halhul, noting that there were prefabricated housing units on site for the past few months near the current construction work. The Israeli occupation authorities (IOA) start on Saturday building a new highway cutting through Beit Safafa village at the outskirts of occupied Jerusalem. The road leads to Jewish settlements established on occupied Bethlehem land and on completion would allow settlers to directly head to the coastal region without being hindered by traffic lights or crossroads. The road would serve Jewish settlers at the expense of the 10,000 inhabitants of the village.